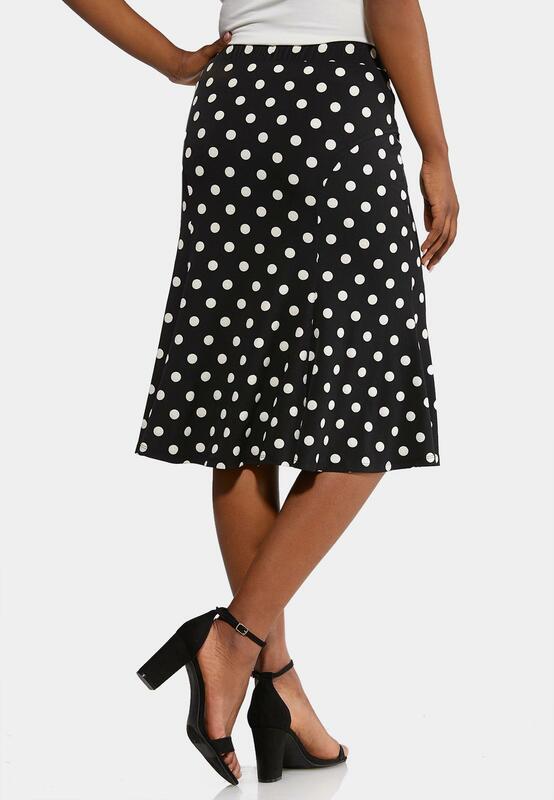 This top to toe style is spot on with its stretch knit fabric, a puff polka dotted print, black and white color scheme and breezy, swing style for a look that is fun and timeless. 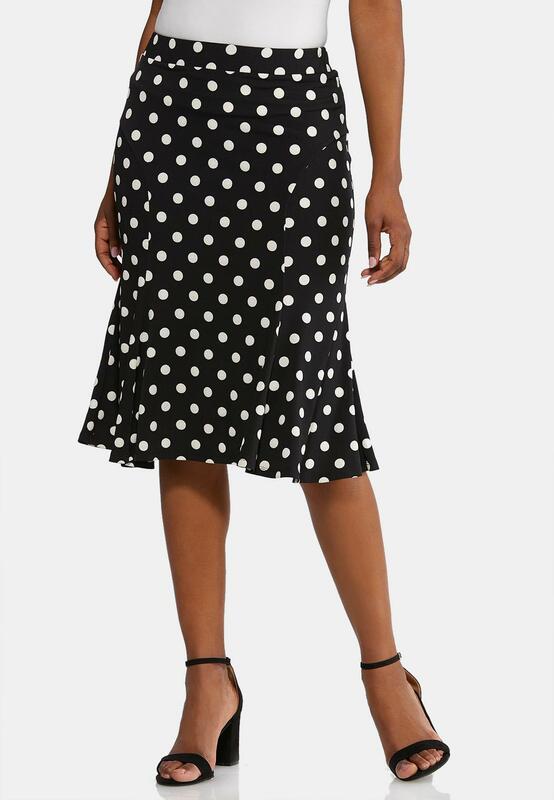 Love this skirt!! I wish it came in different colors!